Ashok Choundhary, who is studying media communications in global development, wanted to contribute to improve the lives of cancer patients since his grandmother died from the disease. While Ashok has previously only run up to 12k runs is now training hard to complete the half marathon. With race day still to come, he has already raised around £200 and hopes to raise even more. 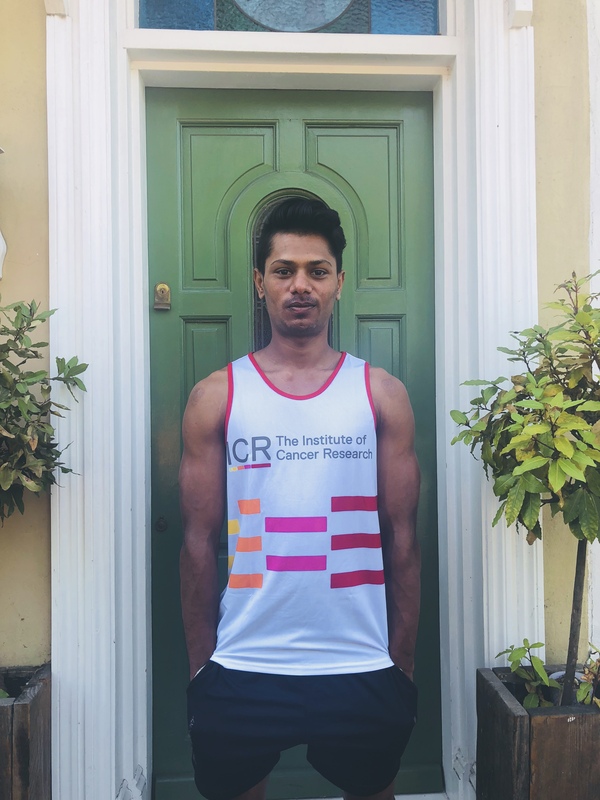 Ashok’s fantastic effort in running the Great North Run will directly support the ICR’s scientists and clinicians, who are working every day to make the discoveries that will defeat cancer. The ICR has been carrying out world-leading research into the causes of cancer, and how it might be treated or prevented, for more than 100 years. Today, it is a world leader at identifying cancer-related genes and discovering new targeted drugs for personalised cancer treatment. Ashok told Asian Voice, “When visiting my cousin at work, who is a radio-oncologist in India, I saw the pain that cancer causes. We have felt it in our family too, with my grandmother. I wanted to do a challenge and raise money for cancer research as my contribution to the effort of improving lives for cancer patients. Professor Paul Workman, Chief Executive of The Institute of Cancer Research, London, said: “The support from our fundraisers is vital for our work to identify cancer genes, discover cancer drugs and develop new high-tech treatments. “It is really motivating for me and all of our researchers to see the hard work and dedication of supporters like Ashok. With their support, we can continue to make a real impact on cancer patients' lives.